Includes poles, nets, rackets, and birdies. Recommended for outdoor use. Each team member holds a card with one letter out of a scrambled word. The team has to identify the word and rearrange the scrambled letters to correctly spell the word. But there is ONE CATCH...You cannot step off the beam! The beams are 4 inches wide and 8inches off the ground. Great for team building groups! 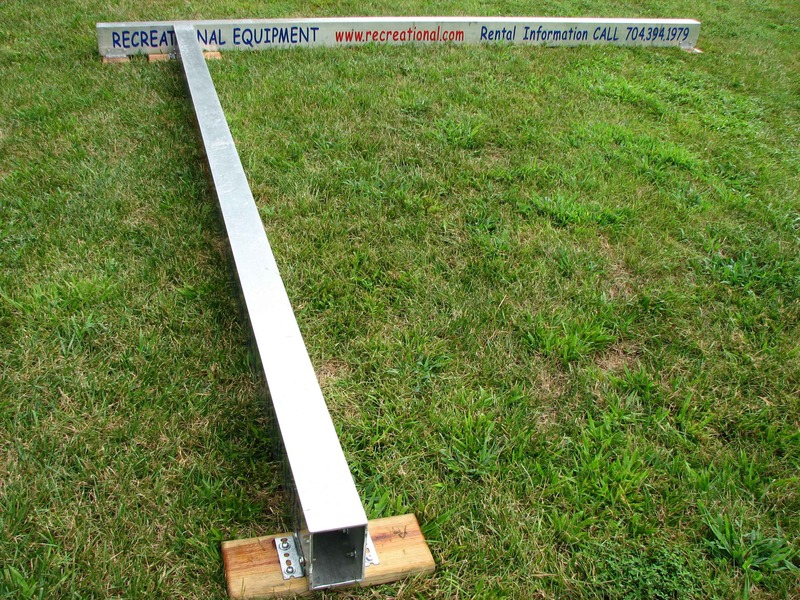 12-foot and 24-foot lengths available. Self-standing unit includes a regulation size goal and ball. Multiple units available. Batter up! 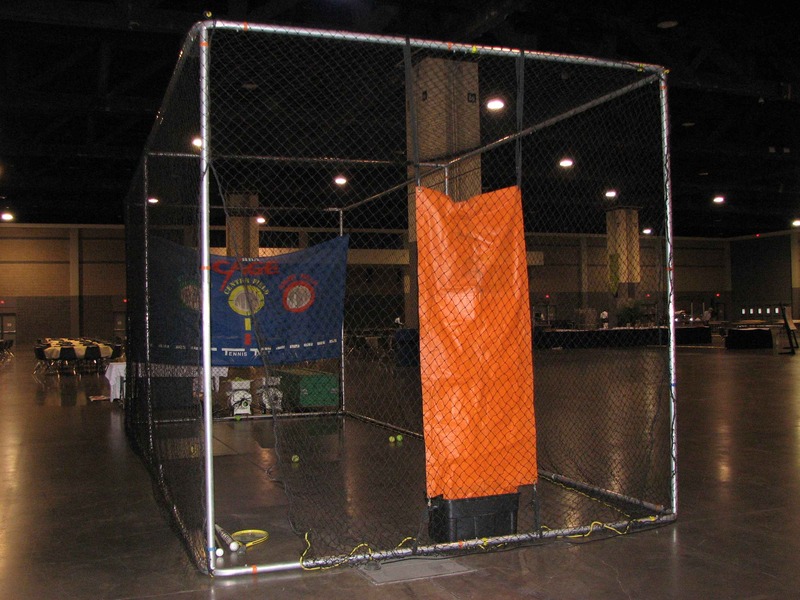 Fully-netted area provides ideal space for honing your favorite pastime skills. Originally designed for coaching minor leagues, the compact size and time ratio produced wonderful results. Specially modified patented pitching system simulates speed pitches up to 90 MPH. Have no fear the system uses pressureless tennis balls for unparalleled safety while maintaining realistic ball contact. Can also be used for tennis practice. Fun for ALL ages. Safe for ALL ages. Roll the small target ball out in the playing field. Try to roll your ball closest to the target ball without touching it, while also keeping your opponents away from the target ball. (Comes with playing rules). 2 players compete to score goals using mini hockey sticks to push the puck past opponents stick and a series of end goals. Fast, furious fun for all ages. Hard to stay away. 5' x 7' area required. 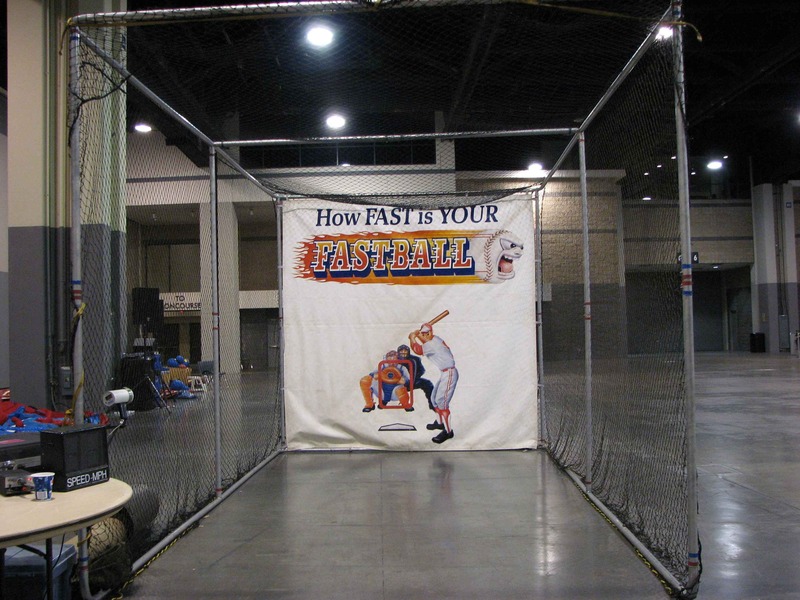 Get the Batting Cage and the Radar Speed Pitch together and SAVE! Traditional lawn game. Comes with rules and layout. Soccer with a twist! The ball is 6-feet in diameter with a nylon cover. Earth ball is played similarly to soccer, except you only have 4 on a team, and you try to PUSH the ball past each other. Can also be used in other games such as dodge ball and volleyball. 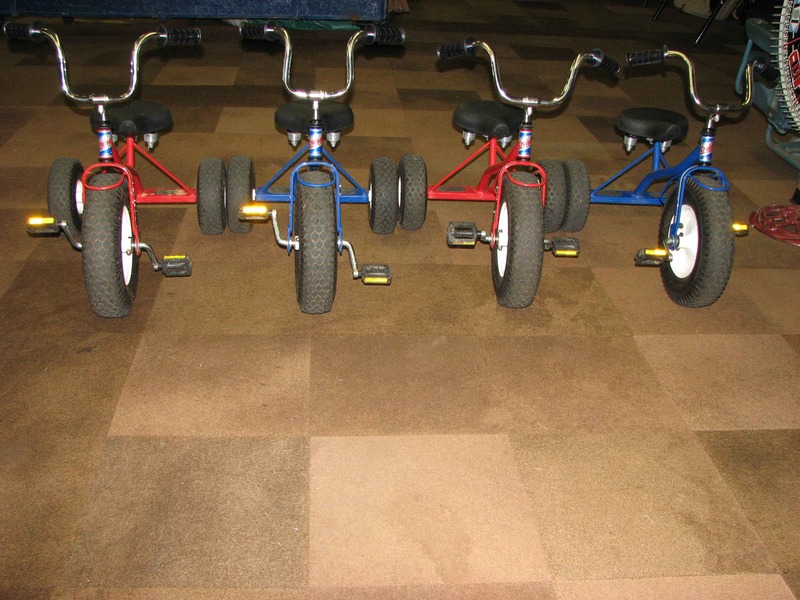 Race to the finish line on our oversized tricycles! Great for team-building experiences! Includes 2 steel posts, and 4 shoes. Posts are placed 60 feet apart. Played by US Horseshoe Rules. Played similar to horseshoes. Players use Nerf, rubber-tipped lawn jarts to hit the target rings. How fast can you throw? Step up to the "mound," throw a baseball against the catcher/umpire backstop and the radar gun will show you how fast you can "pitch". Can be used indoors or outdoors and can be used in all weather. Good for high traffic events for both young and old. A dart game that uses safety suction-cup darts. Pull your team to victory! Includes a 100 feet long one-inch regulation rope with foul line and starting point cones. Regulation set includes metal stands, net, and ball. Recommended for outdoor use.